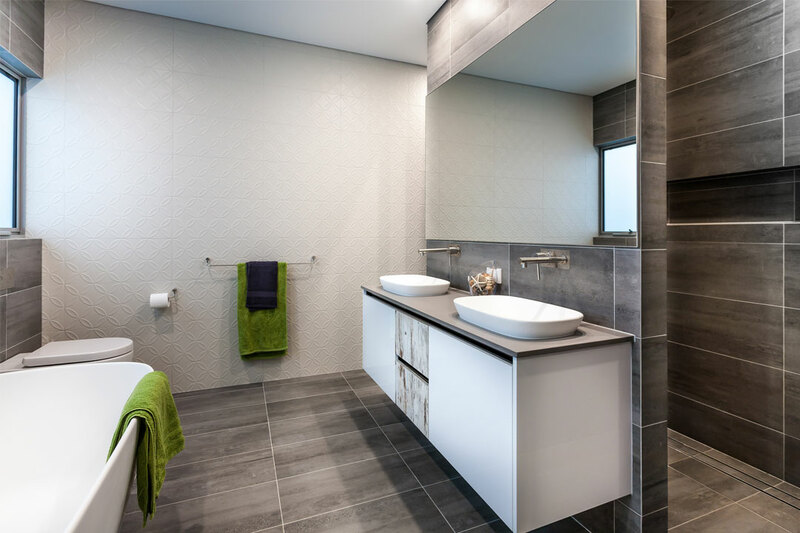 When undertaking this bathroom project, the design professionals at Armanti Tiles and Bathware along with Brett Baker of M-Sky Homes, were mindful to create a practical, open space that was aesthetically striking. To achieve this eye-catching look, Armanti Tiles & Bathware have cleverly fused elements from a swathe of differing styles in order to create an aesthetic that is classic and contemporary, yet entirely individual. A double-bowl vanity and freestanding bath in timeless white porcelain and an understated Art Deco-inspired feature wall lend classically beautiful accents to the space. 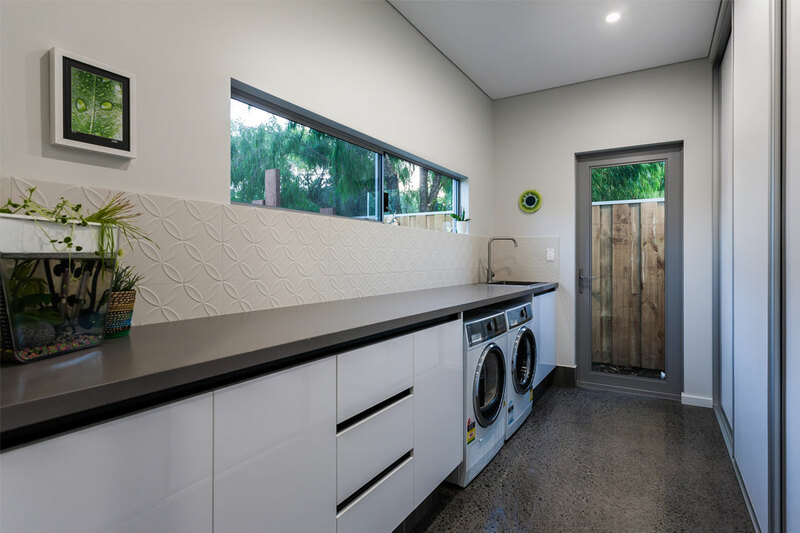 Sleek charcoal tiling that mimics formed concrete and polishedconcrete flooring provide a crisp, modern contrast. The outcome is a cohesive and stylish conceptual blend of the old and the new. Through the thoughtful inclusion of the environmentally-friendly, water-saving shower fittings and mixers, the bathroom achieves a successful balance between style and practicality. Equally, the skilful and clutter-free utilisation of space allows for a sense of openness and flow in the layout, which creates a relaxing and tranquil atmosphere for users. Based in Western Australia, Armanti Tiles & Bathware is proudly owned and operated by the Perrella family. Since 1986, the Perrella family have operated as builders and plumbers before honing their industry knowledge into this retail venture. Now, Armanti Tiles offer one of the largest tile and plumbing product displays south of Perth. 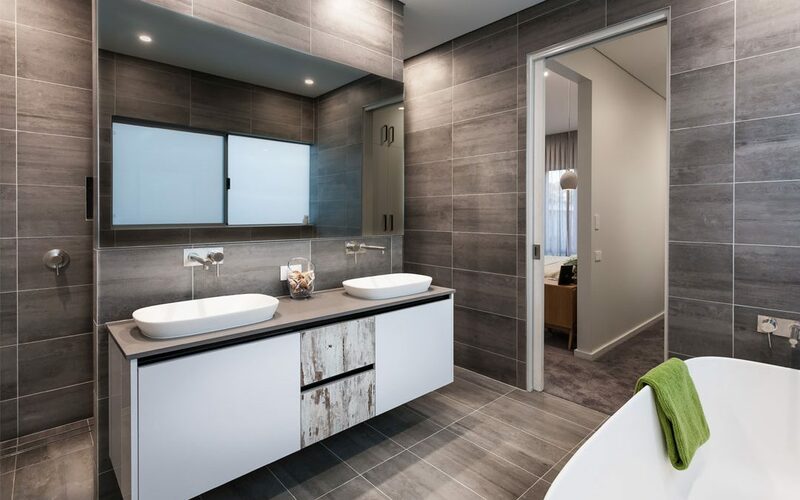 Boasting one of the largest collections of tile and plumbing products in the south of Perth, Armanti Tiles & Bathware’s inventory includes furniture, tapware and bathroom solutions in an exciting range of styles. 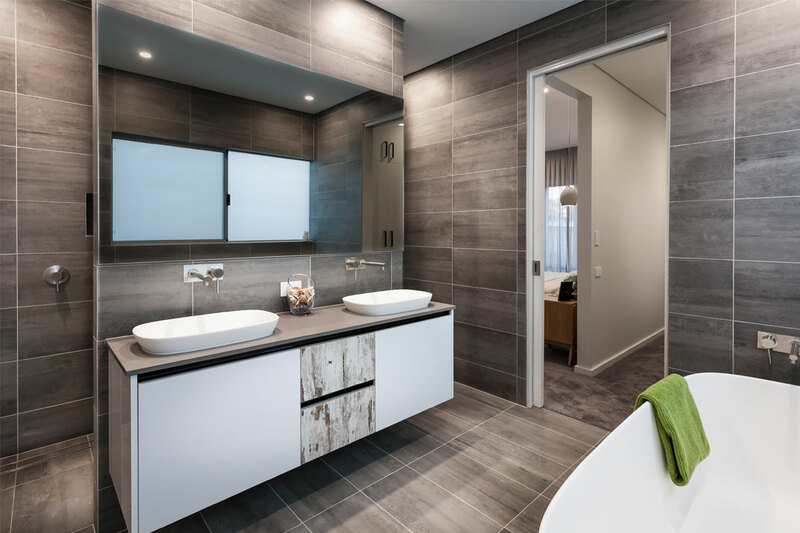 Display rooms in Bunbury and Bussleton showcase this diverse offering, and are sure to inspire those looking for a fresh or updated bathroom. Whether renovating or building from scratch, the friendly team at Armanti Tiles & Bathware is passionate about creating personalised spaces that are tailored to each client’s tastes, needs and budgets. From concept through to completion, Armanti Tiles & Bathware is dedicated to making your vision a reality.